6 Port Flush Mount Wall Plate. This flush mounted wall plate accepts all QuickPort snap-in modules used for audio, video, and telecommunications. It can mount to recessed wall boxes and brackets for a low profile look, or it can surface mounted. 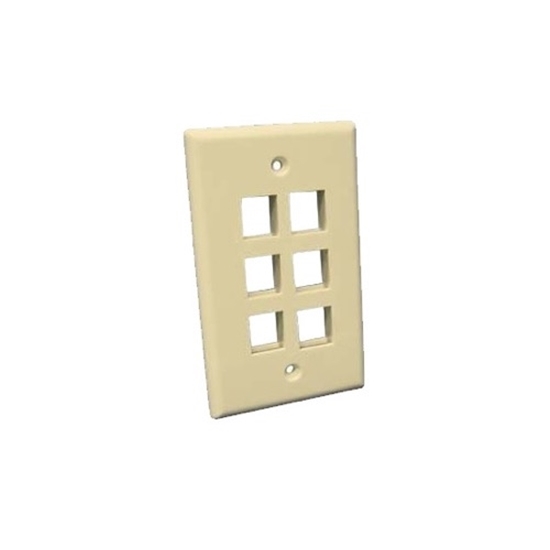 Flush mount wall plates offer field-configurable in an attractive single-piece housing. All versions include color-matched mounting screws. UL listed.